Thin-lite mod. 193 fluorescent 12 volt d.c. Uses one F15T8/CW fluorescent tube (included) and draws 1.3 amps. Produces 870 lumens of light. Dimensions: 18.25" by 2.6" by 2.5"
Same as above but in 24 volt d.c.
Thinlite mod. 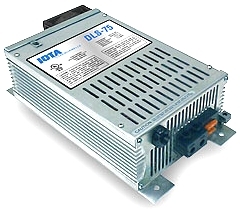 P1954BK 12 volt d.c. Uses One F32T8/CW tube - included. Produces 2850 lumens of light. 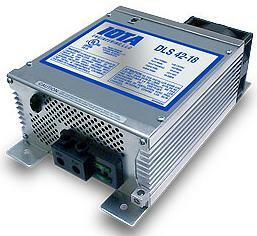 Uses a Radio Frequency Interference suppressed ballast. 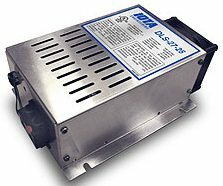 This is an excellent light for use in under-cabinet and vehicle applications. These are widely used in tool truck, food service and utiltity / emergency vehicles. Dimensions: 48.25" long, 2.60" high and 2.5" wide. 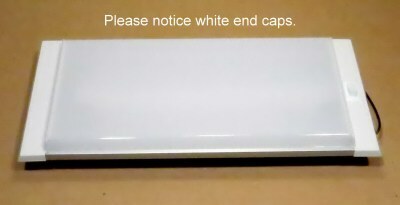 As shown in picture, this model has black end caps. Thinlite mod. 712 XL recessed 12 volt d.c. Uses two F8T5/CW tubes - included. 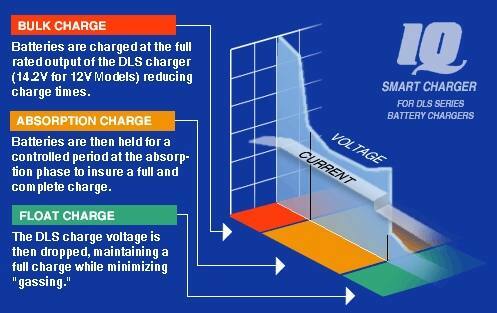 Draws 1.4 amps. Produces 800 lumens of light. The XL designates a "prismatic" lens for higher light output. Dimensions: 14.75" long, 2.0" high and 6.625" wide. 14.25" long by 5.313" wide by 1.25" deep. 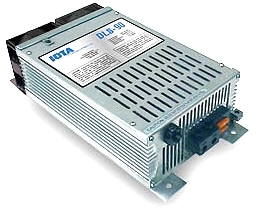 Has a Radio Frequency Interference suppressed ballast. Thinlite mod. 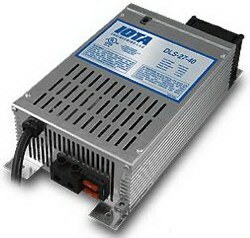 716 XL recessed 12 volt d.c. Uses two F15T8/CW tubes - included. Draws 2.2 amps. Produces 1650 lumens of light. Dimensions: 20.625" long, 2.0" high and 6.625" wide. 20.125" long by 5.313" wide by 1.25" deep. Thinlite mod. 732 recessed 12 volt d.c.
off white / olive caps which are no longer available. Approximate amp draw of 1.4 amps. For use with shallow ceilings. Dimensions: 14.75" long, 1.75" high and 6.625" wide. 13.50" long by 5.25" wide by 1.00" deep. Currently we have 1 of the fluorescent models in stock. Thinlite mod. 736 recessed 12 volt d.c.
Dimensions: 20.531" long, 1.75" high and 6.625" wide. 19.25" long by 5.25" wide by 1.00" deep. This allows more light to pass through. Thinlite mod. 742 recessed 12 volt d.c.
Dimensions: 13.375" long, 1.75" high and 6.125" wide. 12.375" long by 4.75" wide by 1.00" deep. Same as above but without a switch. 742 No Lens No Switch. Thinlite mod. 746 recessed 12 volt d.c.
Dimensions: 19.125" long, 1.75" high and 6.125" wide. 18.125" long by 4.75" wide by 1.00" deep. Thinlite mod. 746 NO SWITCH model recessed 12 volt d.c.
Thinlite mod. 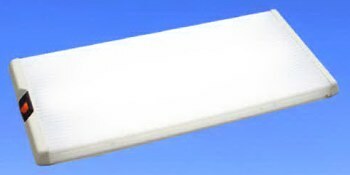 762 recessed 12 volt d.c.
Dimensions: 16.125" long, 1.75" high and 7.300" wide. 12.25" long by 4.75" wide by .937" deep. Currently we have 3 of the fluorescent models in stock. Thinlite mod. 766 recessed 12 volt d.c.
Dimensions: 21.825" long, 1.75" high and 7.300" wide. 18.125" long by 4.75" wide by .937" deep. ship your order complete when they come in - NO partial shipments on these lights.